Create amazing costume with this Scary Ghost Set. Complete your Ghost Costume with these realistic Halloween effects. A range of white & black eye shadows, lipsticks, eye liner and fake blood all available in one place. Face and Body Paint - White: Perfect to help create a white out ghost face. Face and Body Paint - Black: Helps you create the eyes on your ghost face, make the face stand out making it look more horrific and scary. Fake Blood: Make your ghost look more scary & lunatic crazy with the fake blood,adding the extra scare to your costume. 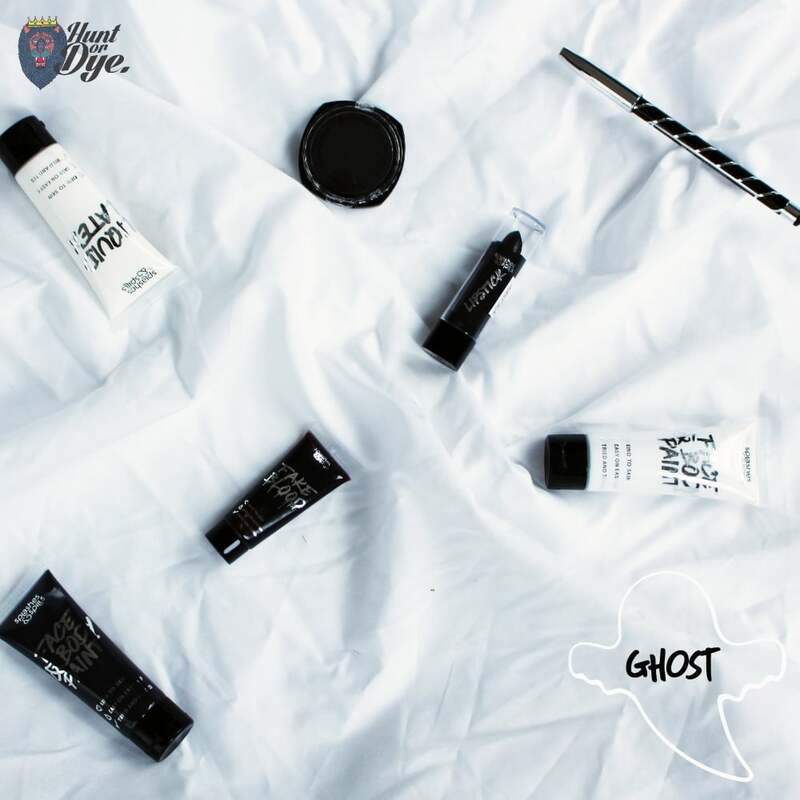 Black Lipstick: Apply the black lipstick to help you achieve that scary ghost finish to your lips. Black Eye Shadow: Apply on the face & eyes to make your ghost look more gruesome & deadlier then ever. FACE AND BODY PAINT - WHITE : SMALL PARTS CHOKING HAZARD. DANGEROUS IF SWALLOWED. AVOID CONTACT WITH EYES AND LIPS. FACE AND BODY PAINT - BLACK : SMALL PARTS CHOKING HAZARD. DANGEROUS IF SWALLOWED. AVOID CONTACT WITH EYES AND LIPS. FAKE BLOOD: SMALL PARTS CHOKING HAZARD. DANGEROUS IF SWALLOWED. AVOID CONTACT WITH EYES AND LIPS. LIQUID LATEX: SMALL PARTS CHOKING HAZARD. DANGEROUS IF SWALLOWED. AVOID CONTACT WITH EYES AND LIPS. BLACK LIPSTICK: SMALL PARTS CHOKING HAZARD. DANGEROUS IF SWALLOWED.